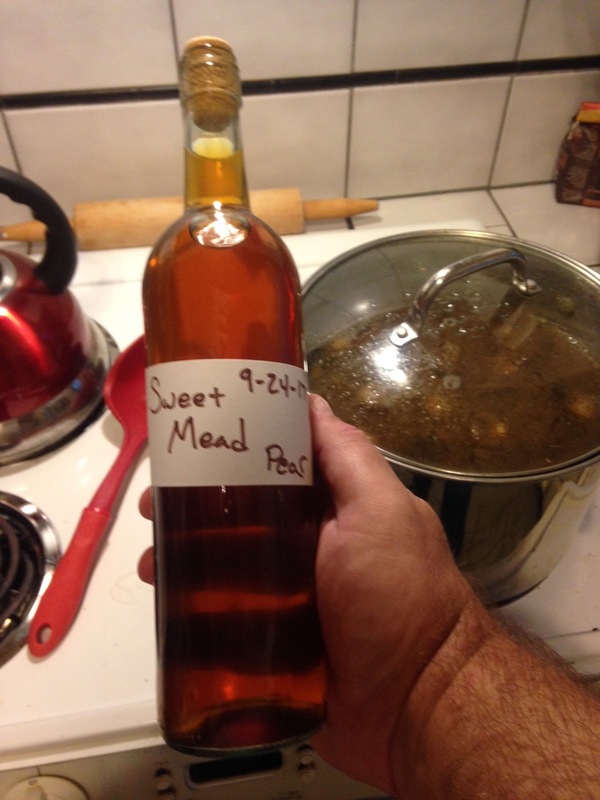 On July 24th, Noah and I opened the second bottle of the Sweet Pear Mead. Still very disappointing. On opening the bottle, I still smelled the aroma of beer. It faded after it had breathed for 20 minutes. In the glass it smelled sweet and had a clear amber color. The first taste was a shock. Very dry, faint taste of honey, and finished with that tallow sensation on the back of my tongue. We tasted it a few times more just to be sure. The only thing that changed was the tallow sensation seemed to lessen. We divided the bottle into 7 glasses. 1 for my wife, and 3 each for Noah and myself. The mead was so strong that Noah and I both got a really good buzz. Neither of us are lightweights, so it was a very strong mead. On our second two glasses, we added a few drops of honey and found that it improved the taste drastically. In our opinion, the only thing wrong with this mead, was that it was just too dry.